Spirituality is a big part of the Japanese culture. This can easily be seen in how they give respect and worship to spirits and statues that represent these spirits. It can also be seen in the number of shrines and temples they have and they take good care of to this very day. Among the many things in Japan that showcase this part of their culture like the Hamaya, which is a demon-breaking arrow, there is a talisman in the Japanese culture that can supposedly be used for almost anything. This particular Japanese talisman is known the Ofuda. Simply speaking, the Ofuda is a paper that you stick or hang on the walls of your household to bless it with a certain protection or spirit that delivers you from harm. 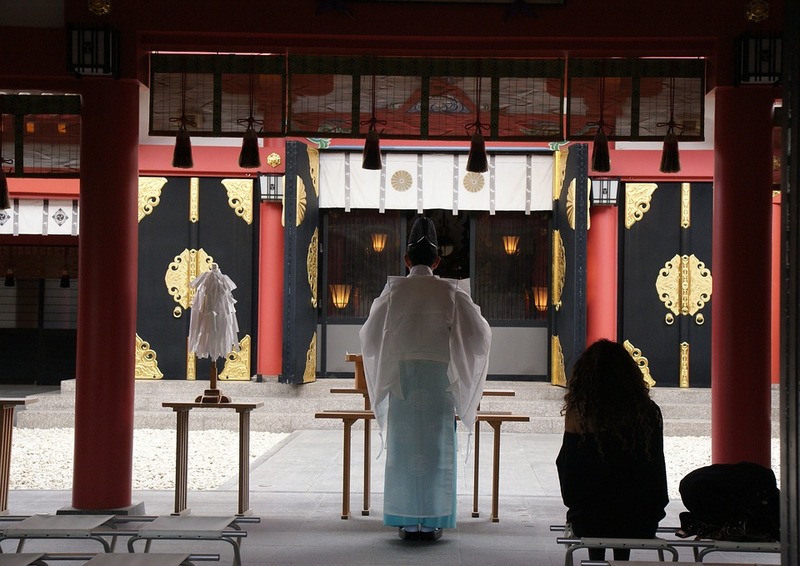 It is also sometimes called shinpu and it has a very strong connection to Shinto shrines because the writing inscribed on it calls upon the same spirit or deity that particular shrines honor. It is believed that placing an ofuda in your household alter welcomes the spirit or kami written on it to your home. Originally, the amulet-like paper talisman was made from hemp cloth called Taima but somewhere along the line, the Taima was replaced by IseWashi, which is Japanese paper made in Ise. It also has a variant known as omamori. The difference between the ofuda and the omamori is that the ofuda is generally intended to provide safety and protection for the whole family of the household it resides in while the omamori is intended to provide protection for a single bearer only. In addition to the protection it offers its bearer, omamori is also known to help your case in terms of the personal wants and needs that you might have. Some ofuda is also believed to invoke more than just safety and this is done by calling upon a particular spirit or kami that would bring you things like luck and power. You might think that it’s as easy as sticking those glow-in-the-dark night lights on the ceiling of a room or sticking post-it notes on the refrigerator door but surprisingly enough, this is a very precise tradition. You can even find a guide provided by the Association of Shinto Shrines that supposedly maximises the charm or talisman’s effect in the household it hangs in. This maximization would entail you to place 3 specific ofuda in your household altar in a certain pattern or order. The first ofuda you must have is one from the Ise Jingu which is the location where Amaterasu, who is the spirit of the sun, is enshrined. The second ofuda you would need is one from a regional shrine that you frequently go to or favor like the Taisha-Zukuri. The third ofuda has to be from an ancestral shrine, known as ujigami, which the family is attached to. Now the placement of the ofuda would depend on the design of your household altar. If your altar is confined by a single door, you must place the ofuda in an order that puts the Amaterasu ofuda at the very top, the ancestral ofuda in the middle, and the local or favored shrine ofuda at the very back. Some household altars have 3 doors that separate the altar from other rooms in the home and if this is the case, there is also a particular order you should place the 3 ofuda. Imagine 3 doors lined up from left to right. The ofuda you should see on the leftmost door should be the ofuda from the favored or local shrine. The ofuda you should see on the rightmost door should be the ofuda from the ancestral shrine. This leaves the Amaterasu ofuda to be placed at the center door. Obtaining all these ofuda can be quite time-consuming considering that you will eventually have to replace all of them after a certain amount of time so if you can’t be bothered to do so, don’t worry about it because it isn’t strictly implemented nor is it commonly practiced in Japanese homes. Normally, people just use one ofuda, which usually comes from their favorite shrine, and there hasn’t been any news or claims that doing it this way makes the results less effective for the household and the household members. 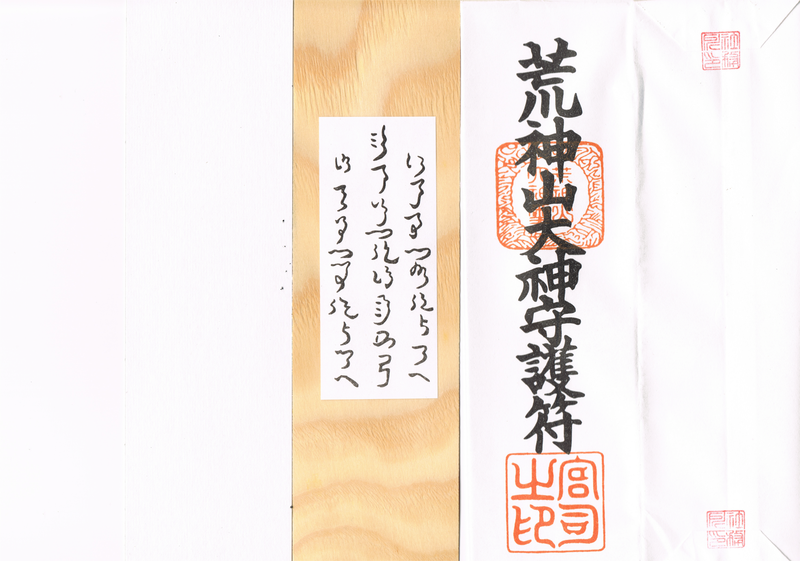 If you are from abroad and you are interested in trying out the power of the ofuda, you may try to obtain one via post. By searching the internet, you should stumble upon a website that caters to this need of importing ofuda out of Japan. It was mentioned earlier that the ofuda has life spans. The usual life span of an ofuda lasts a whole year which is why these talismans are blessed on New Year’s Eve to make it easier to keep track of its validity. There are also cases wherein the ofuda’s power lasts only until the reason for why it was gotten has been met. In both cases, once the ofuda has served its purpose, it is burned at the shrine it was obtained from and it is only then that you get another ofuda that serves the same purpose, if need be. The ofuda isn’t just something you get and then it automatically serves its purpose. Since it is technically an extension of a particular spirits essence and power, it should still be given the proper respect and appreciation. Because of this, it is believed that you must pray or give thanks to the ofuda regularly to maximize its full potential. Before any of these can happen though, the ofuda should first be energized by the spirit or essence you are asking guidance and power from. This energizing of the ofuda is usually done by the monks or priests at the shrine in a sacred ceremony but due to the growth of technology, you can find ofuda being sold on the internet that has already been blessed and is ready to use. Although it used to be frowned upon, there are also cases wherein certain people are given the authority to make their own ofuda. Opting to make your own ofuda would obviously entail certain rules and procedures to be followed. Unlike other paper talisman and amulets, the ofuda’s shape should strictly be rectangular in form, with its length longer than its width. The type of paper you can use, on the other hand, isn’t as strictly imposed but since you will eventually burn it, it is advisable to use natural papers or cloths to cause minimal damage to the environment. Once you have your cloth or piece of paper, the next thing to do is to place the name of the kami or deity that you wish to call upon. You can use magic ink like Dragon’s Blood ink or any other carbon-based ink to do this. After writing down the name, light a candle and some incense that is in accordance with why you are making this ofuda. If you have no idea what scents are connected to the deity, you can research their preferences on reliable resources online. With your candle lit and your incense burning, you now pass the ofuda three times through the fire and smoke of the candle and incense. This is done to cleanse and open up the ofuda for the spirit essence it is about to hold within it. You should be focusing and praying to the kami or deity you are calling upon while you do this. After a bit of meditation on the spirit, you then ask it to bless the talisman with the energy you wish to get from it. When all the meditating is done, leave the ofuda next to the candle and incense until they are completely burned out and once it has burned out, you will have your ofuda ready to use. The ofuda may be a representation of the spiritual aspect of the Japanese culture but because of its popularity, it can be seen in several forms of art too. It can be seen mentioned and used as a reference in many anime and manga as well as films, literature, and much more. Its clear involvement with these types of art forms proves, all the more, that the ofuda has rooted itself deeply in the Japanese culture. You might have read it in some works of literature like “The Girl from the Well” wherein one of the characters uses an ofuda to ward certain rooms against aggressive ghosts. You also might have seen it used as a reference in movies like D-War and Chinese Vampire. 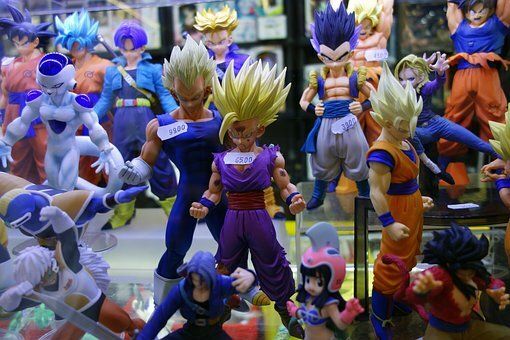 Considering all the avenues that can reach you and show you that it is a well-known talisman or charm, there is definitely no bigger avenue than the anime and manga of Japan. It has been used in anime as early as Dragon Ball wherein Goku could have defeated an immortal enemy but he forgot to bring the ofuda. Another anime that has surely used the concept of ofuda is Sailor Moon. You even see the protagonist of Sailor Moon charging the ofuda before it explodes of her enemies. Even in the more recent anime like Naruto, the ofuda is showcased and used as a source of great power and protection. The ofuda may be from the more spiritual times in Japan but its tradition is surely alive and well in the Japanese culture of today. People still believe in it and continue to give it praise. Others even use it in different ways as seen in the different forms of art that it has been mentioned in.